Northam referred to the legislative package banning private gun sales as “nonpartisan” and “commonsense,” but he did not explain why punishing law-abiding, private gun sellers and average Americans is sensible in any way. After all, private gun sales have been the law of the land since the Second Amendment was ratified in 1791. Why would banning such sales suddenly be evidence of commonsense? The ugly truth that Democrats and their gun control surrogates in the media ignore is that background checks have proven to be the favorite way for mass public attackers to acquire their guns. From the Texas church shooting (November 5, 2017) to Las Vegas (October 1, 2017) to Orlando Pulse (June 12, 2016) to the attack on the Aurora movie theater (July 20, 2012) and Virginia Tech (April 16, 2007), mass public attackers are acquiring their guns via background checks, not private sales. Moreover, even the government has demonstrated that large swaths of the left’s private gun sale “loophole” are actually non-existent. 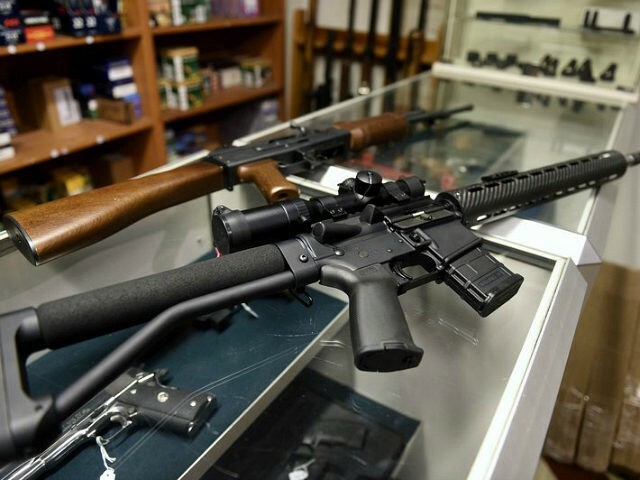 A Government Accountability Office (GAO) report shows that federal agents spent two and a half years impersonating prohibited buyers who were trying to skirt the system and buy guns privately online. They made 72 attempts to buy guns and failed 72 times.